Are you or someone you care about a victim of personal injury at the hands of someone else? Are you eligible for compensation due to this injury? If you have been seriously injured as the result of negligence, you may be entitled to substantial compensation. Our civil justice system and personal injury laws employ principles of accountability and deterrence to achieve their goals. That system has a two-fold purpose - to provide compensation for the injured victim and to deter dangerous conduct from recurring so that our community becomes a safer place for all of us to live and work. 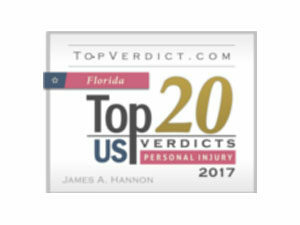 We at Hannon Legal Group believe that every legitimate personal injury lawsuit benefits all Floridians by making our communities safer for our families. We are grateful for the privilege of being able to help people during their darkest moments while also helping to prevent similar tragic incidents through deterrence. The law provides for compensation when you have been injured because of someone's careless conduct. The types of injuries involved in the cases we handle are many and include traumatic brain injury or brain damage, paralysis, burn injuries, fractures, amputations, spinal cord injuries and orthopedic injuries among others. Personal injury law suits can involve injuries arising out of a wide array of incidents. These injuries are often caused by transportation accidents including: car accidents, tractor-trailer crashes, airplane crashes, tour bus crashes, boat accidents, personal watercraft accidents and train derailments. Sometimes serious injuries are the result of dangerous premises, that is a dangerous condition at a commercial property like a slip or tripping hazard at a restaurant, shopping mall, nightclub or gas stations or safety violations on a construction site. Negligent or inadequate security at those establishments can also result in visitors being shot, stabbed or beaten and left with serious or even fatal injuries. These categories are the most common scenarios where people suffer harm from negligence. There are many others. To determine if you have a viable personal injury case, you should speak with an experienced personal injury lawyer - one with a track record of success and the experience and resources to take a case all the way to trial if that is necessary to achieve fair and just compensation. When you are at a restaurant, shopping center, a synagogue, a resort, or a place of business—in other words, when you are on premises other than your own home—you have the right to expect that you are safe and that harm will not befall you. Premises liability is a category of personal injury that includes accidents and injuries that happen because of the negligence or dangerous conduct of the person or entity responsible for keeping those places safe. The world we inhabit is far from perfect. Bad people do bad things. Crimes are committed. When those crimes are can be anticipated and cause personal injury or death, the criminals are held accountable in a criminal court. Wrongful death is a special kind of personal injury case. While no personal injury is excusable, time, financial support, and medical attention can at least mitigate, to a degree, the negative outcomes associated with many of the impairments suffered because of negligence and life can resume again, even if not normally. However, for victims of wrongful death, there is no tomorrow. Wrongful death refers to the death of someone because of the misconduct or negligence of another person or party. That's why the law calls it "wrongful." Because it shouldn't have happened. The person who caused the fatal incident may be convicted of a crime associated with the death. In fact, many wrongful death lawsuits come after a criminal trial. In those civil cases, the burden of proof is not as stringent as in the criminal trial. But not all wrongful death lawsuits follow a criminal conviction. Obviously, the victim in these cases cannot bring a case against the guilty party. Instead, the surviving members of her family are the ones who can sue. Specifically, a personal representative of the victim’s estate will bring the lawsuit in order to recover damages to help pay for medical bills and expenses that might have arisen prior to the decedent’s death, as well as for funeral expenses, pain, suffering, and various elements of damage associated with the loss of a loved one. Medical expenses - The guilty party or parties should be required to pay for surgery, medication, and other medical treatment made necessary by the injury. Wage loss - When a victim is forced to miss work because of the personal injury, they can be reimbursed for the wages they have lost. Occupational or physical therapy - As with medical expenses listed above, any therapy needed to recover from a personal injury is subject to compensation. Pain and suffering - The negligence and misconduct of another can rob a person of their peace of mind and sense of wellbeing and leave them fearful and isolated. Victims have a right to be compensated for this aspect of their loss. Property damage - When the negligence or misconduct of another causes damage to personal property (a person’s house or car, for example) the victim can be compensated in the form of repair or replacement. Ongoing living expenses - In some severe cases, the injury can require a permanent and costly change in lifestyle, in which case the victim can reasonably expect assistance to pay for these ongoing expenses. Loss of consortium - For widows, widowers, and other survivors in a wrongful death case, loss of consortium refers to the loss of the deceased’s presence and companionship. When you are injured as the result of the negligence or misconduct of another, you may be contacted by a representative of one of the insurance companies involved. These individuals can sound sincere and concerned, and they may genuinely feel bad for you. But make no mistake—they do not represent your interests. Their primary concern is to save the insurance company money. More than anything, they want to limit the amount of liability that their client—their negligent and sometimes criminal client— has exposed them to. If that means persuading a victim who is hurting and vulnerable to sign a release, then so be it. If they offer you a settlement, you can be certain that they are not offering what they understand to be a fair and just amount to settle the case. They are hoping for a quick end to their problem. How Long Does It Take To Try A Personal Injury Case Or Bring It To Settlement? In Florida, there are four ingredients ("essential elements") that must be present in order to have a viable personal injury case: 1) the existence of a duty, 2) a breach of that duty, 3) damages and 4) causation. It’s not enough to prove that the tortfeasor (usually the defendant in a personal injury law suit) was negligent and that you were injured. 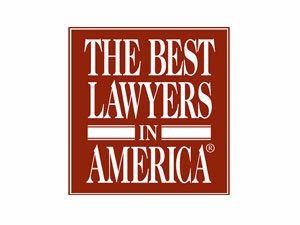 The personal injury attorney must also prove that the injury occurred as a result of that negligence or misconduct. This is the element referred to as "causation." Proving all four elements of a negligence case is a time-consuming, expensive and contentious process - contentious, because the insurance company’s lawyers will most certainly be fighting against the victim all along the way. There are many factors (including some that we have no control over) that can affect the amount of time needed to successfully amass the necessary evidence and bring a case to resolution and each case is different. Some cases get resolved in a few short months but that is not the norm. Most cases require more time and it is difficult to estimate how much time will be needed during the early stages of the case. A personal injury claim should only be pursued with the help of an experienced attorney who understands the nuances of personal injury law, has the resources to investigate and prosecute your claim, and will aggressively represent your interests. You have the right to expect that people, hospitals, construction firms, apartment complexes and others will act carefully and responsibly. When they don’t, and you suffer serious harm, you need an experienced personal injury lawyer on your side. The trial lawyers at Hannon Legal Group specialize in serious personal injury and wrongful death cases. We welcome the opportunity to talk with you about your potential case.